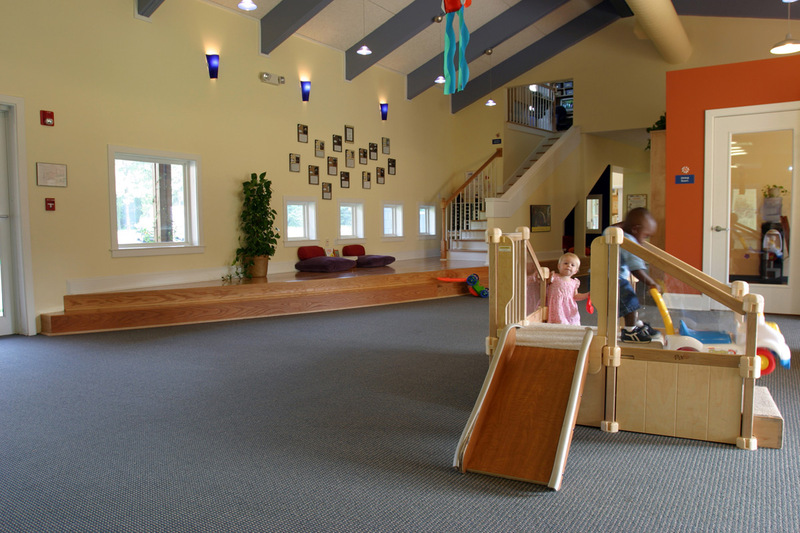 Nestled in a densely wooded setting on Procter and Gamble’s Manufacturing Campus, the 6,800 square foot center is designed to feel and operate as a second home for its children and staff. 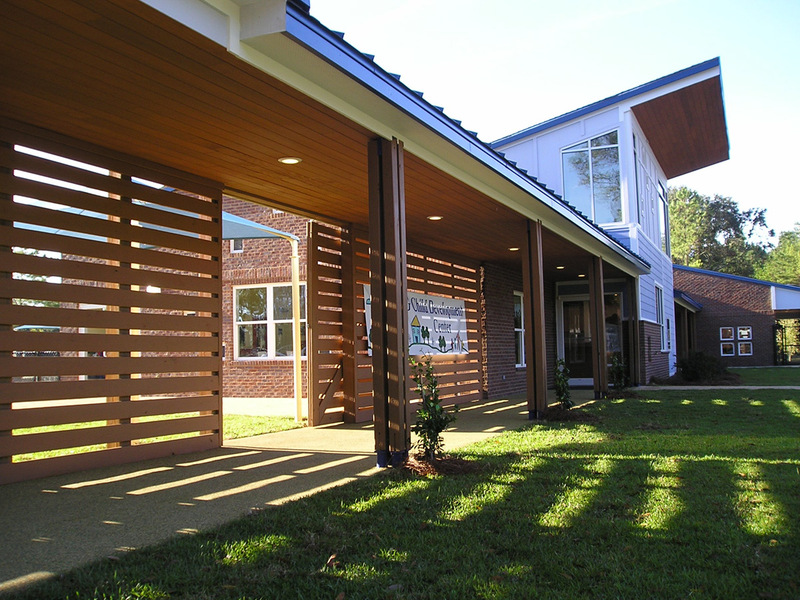 Inspired by the warmth and richness of a southern farm ranch, this uniquely-modern center pulls its guests along a covered walkway defined on one edge by a cedar slat wall which allows partial glimpses into the “backyard” play areas while also generating dramatic effects with light and shadow. 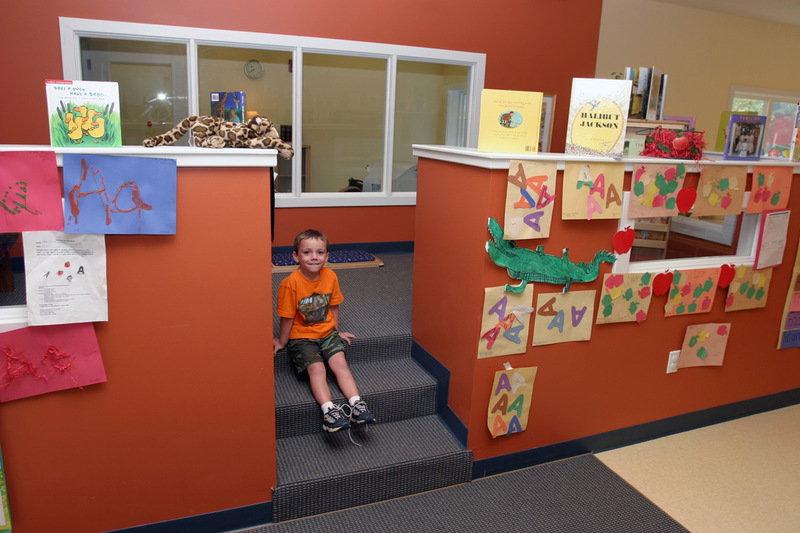 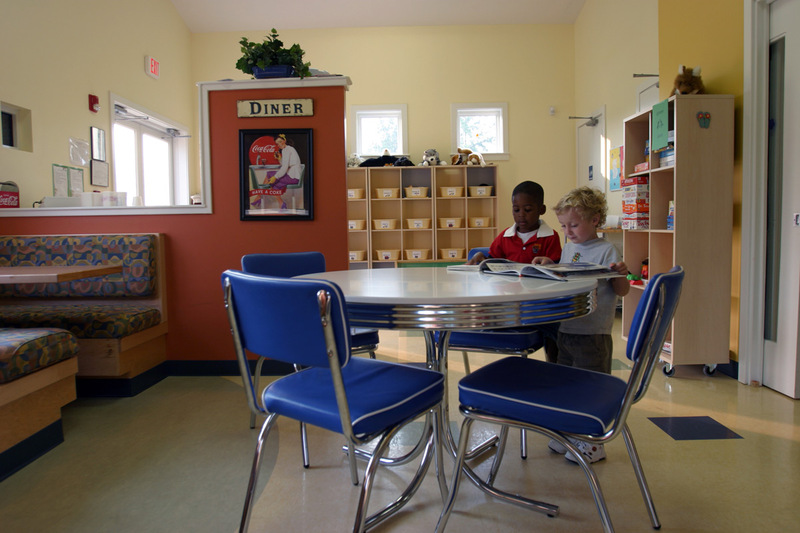 The center can accommodate children from 3 months to 12 years old in a warm sensory-rich environment that also provides overnight care for children of shift workers at the plant. 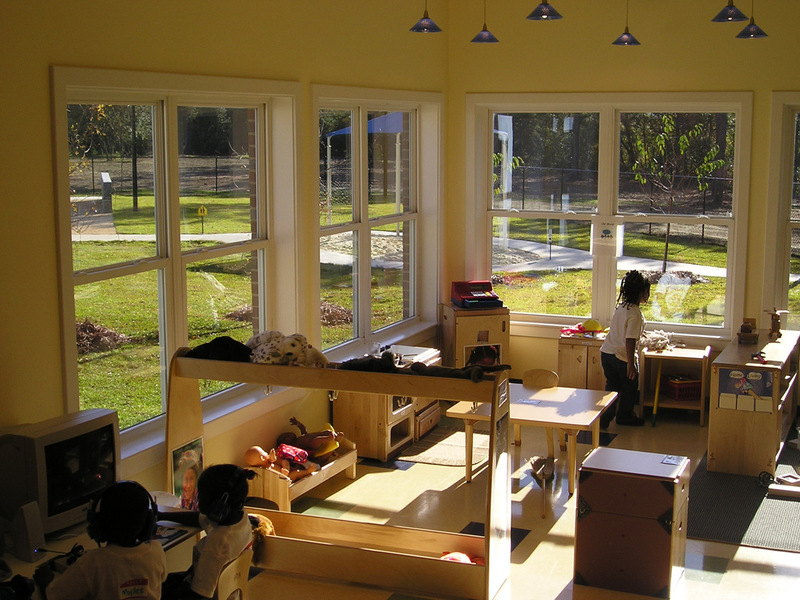 The four classrooms for younger children are all designed to be light and welcoming and are grouped together to encourage sibling interaction. 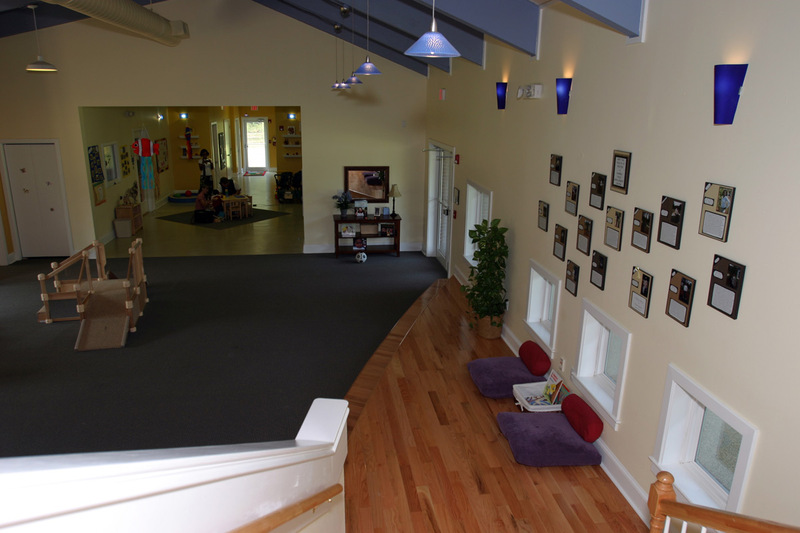 The heart of the building contains a large open family room, dining area, kitchen and an art studio serving both the younger children and the school age “clubhouse” which provides an age appropriate setting for older children.